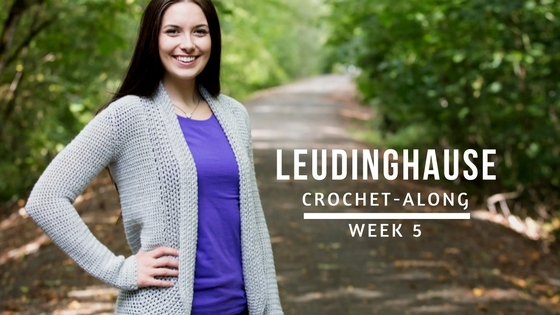 Welcome to Week 5 of the Leudinghause Crochet-Along! This week we will be finishing our cardigan! Block your body and sleeves the same way you blocked your gauge swatch (0:36). I simply threw min in the washer then the dryer. You will want to pull it out of the dryer while it’s still warm to lay flat to cool. This will help avoid any wrinkles from setting in. If you are steam blocking you can do that now or after the sleeves are sewn in. Seam your sleeves into your body (2:36). I used a simple mattress stitch. Weave in all your ends (12:42). Once you’re done throw on your sweater and enjoy!